Colonized nations need two factors to navigate through the maze of conquest and conflicts and still survive; national myth and a collective conscience of what is good and bad about their country. Often these factors are exhibited through literature, historical happenings, and personalities with good attributes. Somalis are rich in national myth. Starting from its heroic wars against Abyssinians to the Darwish resistance in the 1900s to the patriotic movement of the 1940s spearheaded by the Somali Youth League (SYL), Somalis are blessed with a political history rich in mythology. Often songs and poetry act as the repository of Somalis rich mythology. However, as a nation it is currently experiencing a shortage in men and women of great character, hence the absence of a collective conscience. One such a person that Somalis consider as their national conscience at this juncture in Somali history is neither a politician nor a religious figure. And certainly, s/he is not a member of the so-called educated class. 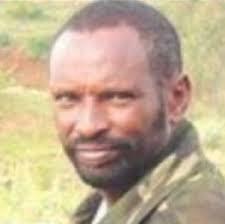 That distinguished trait in today’s reality is bestowed on Abdi Karim Aw Muse, alias Qalbi-dhagax, or Braveheart. Qalbi-dhagax is a man from a humble background with certain traits that Somalis once abundantly observed in their leaders – good characteristics, patriotism, and the willingness to die for a dearly-held national, albeit remote and often elusive, dream – the realization of national self-determination and the right of Somalis in the Horn of Africa to form their own united Somalia country. To that end, Qalbi-dhagax joined the Somali national army at a young age and fought for the liberation of Western Somali Region, also known as the Ogaden region, while protecting the sovereignty of the young republic created by the likes of Abdullahi Issa, Aden Osman, Abdulrazak Haji Hussein and Abdidrashid Ali Sharmarke, Mohammed H. Ibrahim Igal and others. After the disintegration of Somalia in 1990, Qalbi-dhagax joined the Ogaden National Liberation Front (ONLF). After 34 years of armed struggle in the region, ONLF signed a three-point agreement with the Federal Democratic Government of Ethiopia on October 21, 2018. Many believe that the ONLF to which Qalbi-dagax sacrificed a lot has taken a political route to reach to their goals. Qalbi-dhagax was the first Somali citizen, whether in a movement or not, handed over to Ethiopia or elsewhere by a sitting National government of Somalia. In August 2017, the Farmajo government for no compelling reason handed over Qalbi-dhagax to Ethiopia, despite that the movement to which he belongs (ONLF) was in constructive talks with Ethiopia. In the past, there were occasions when, under pressure, Mogadishu either forced guerilla leaders from the Western Somali region to either abandon their struggle or leave Mogadishu; in 1965, for example, after a young and less equipped Somalia waged a bitter war that it could not afford with the ancient empire of Ethiopia, many of the leaders of the Geeshka movement were coerced by the then sitting government to leave Somalia; as a result, leaders of the Geeshka movement crossed the Ethiopian border in droves. Garad Makhtal Dahir’s activities inside Mogadishu were curtailed or monitored for a period of time. Also, in 1978, following the Ogaden war, Siyyad Barre signed a consequential cessation of hostility with Mengistu Haile Mariam, whose points of agreements included the closure of the headquarters and guerrilla operations of the Western Somali Liberation Front (WSLF). Since Somalia’s1990 civil war, which consumed the once-powerful Somali state, both Puntland and Somaliland administrations handed over alleged members of the Ogaden National Liberation Front (ONLF) to Ethiopia numerous times. On the contrary, all Western democracies considered ONLF a legitimate liberation movement fighting for the self-determination of one of the most oppressed people in the world. A Lebanese sociologist once wrote that the most oppressed communities in the world are “Jews who lived in ancient Yemen,” and Muslims under the Abyssinian colonialism, Somalis in particular. Handing over Qalbi-dhagax, a Somali citizen, a veteran of the 1977 Ogaden war at best, and an unflinching patriot sparked a national uproar like the one in the 1950s that resulted from the arrest of Abdullahi Essa, first Secretary of the Somali Youth League (SYL). The handing over of Qalbi-dhagax to the enemy harnessed latent Somali nationalism. In turn, it completely undermined the patriotic credentials of Mohamed Abullahi Farmjo who was elected on a platform to restore Somali dignity. The action of Villa Somalia, handing over Qalbi-dhagax, defied logic. Many Somalis still ask why would a president who ran on a patriotic platform hand over a 1977 Ogaden war veteran. Or, why did Villa Somalia, in defiance of all international instruments on Human Rights, hand over a Somali citizen to a country known to torture its own prisoners? No one in Villa Somalia seriously addressed any number of questions related to the Qalbi-dhagax fiasco. They vainly wished it will go away. But, it is too big to go away. Most Somalis felt betrayed by and consider the Farmajo-Khayre government in their action to hand over Qalbi-dhagax a pervert action, it caused a national consternation and instilled in most young people a sense of feeling deep sadness and helplessness. It tainted the national mythology that Somalis have been harnessing since modern nation-state took a foothold in the Balkan regions (the early 1900s). Somali national awareness is one of the oldest and most developed in the entire Sub-Sahara Africa. That was thrown into the gutter for a moment by the Farmajo-Khayra defiance of the nation’s collective ethos. In July 2018, at the balcony of a luxurious hotel, I met San-balooshe, the spymaster who had engineered the Qalbi-dhagar incident. While sipping coffee, in his case Grande Cappuccino, with several prominent educated Somalis, he was asked about his role in the Qalbi-dhagax fiasco. He spilled over all of it! 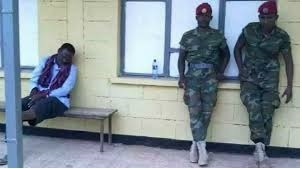 He blamed everything on his boss, the Prime Minister, who, according to his claim, ordered the passing over the “prisoner” to Ethiopian intelligence personnel who came to Mogadishu to collect the high-value prisoner. He never denied that he played a significant role in the matter. But, he said he was ordered to do so. In June 2018, the reformist Prime Minister of Ethiopia released Qalbi-dhagax from prison. In the last two months, a humble but forgiving Qalbi-dhagax has been touring all Somali-inhabited regions, including NFD, Hargeisa, Puntland, and Jubbaland. Everywhere he goes, he is received like a rock star. I asked two prominent politicians who live in Mogadishu and about their take of Qalbi-dhagax visiting Mogadishu. With a visible sigh, he said that visit would rock the city, and hopefully ignite a latent patriotic fervor. I added one more question: will the Farmajo administration acquiesce to such a visit? He laughed and moved into another subject. What do really Somalis see in Qalbi-dhagax, an average citizen with no pretenses and a good-natured average Mohammed? “Simply put it, they see in him traits that great leaders possess,” he answered. Indeed Qalbi-dhagax embodies traits of Braveheart, martyrdom, perseverance, doggedness, and forgiveness to those who imprisoned, tortured him, or maligned his name and his family. 2) Extend a presidential invitation to Qalbi-dhagax and offer him a televised official apology both to him and to the nation he gallantly served. 3) Help him create a Center for the Human Rights and Welfare of Prisoners in Mogadishu to advocate for improving the condition of all Somalis in prisons inside and outside the country. Silence on the part of Farmajo and Khayre on this matter denotes a dysfunctional way of running the nation’s business.